Spring seems to have sprung from what I can gather, atleast in parts of the northern hemisphere so hopefully it won't be long before we start to see some of the beautiful produce again. 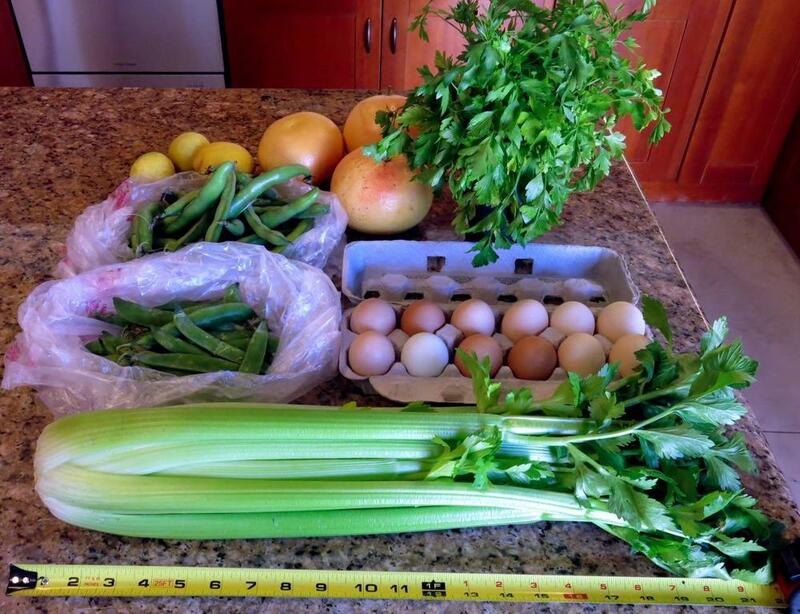 My haul from a farmers market in the big town this morning. 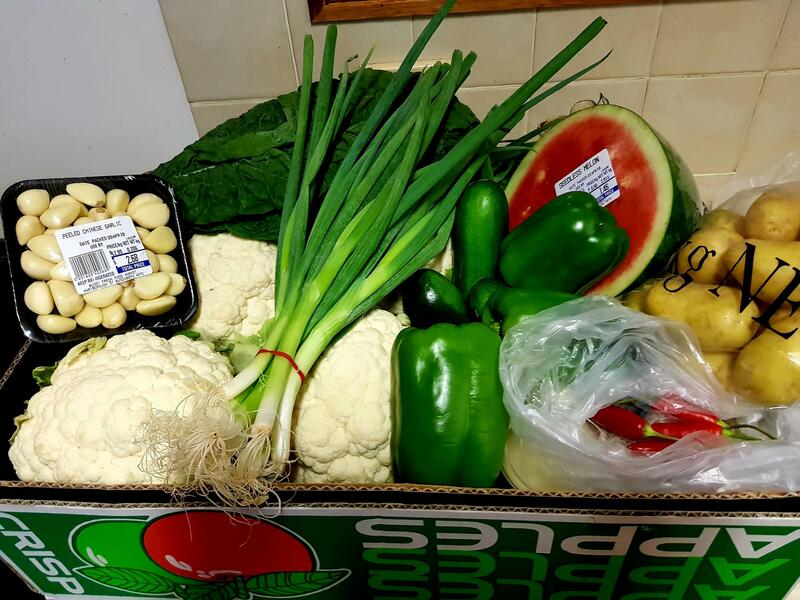 Kg of Zucs, 3 green capsicum (sorry folks), birds eye chillis, kale, spring onion, kg of chat pots, peeled chinese garlic cloves, 1/2 watermelon and the best bit 4 (4!) Beautiful caulis weighing well over a kilo each. Can't wait for the season. I thought grapefruit? 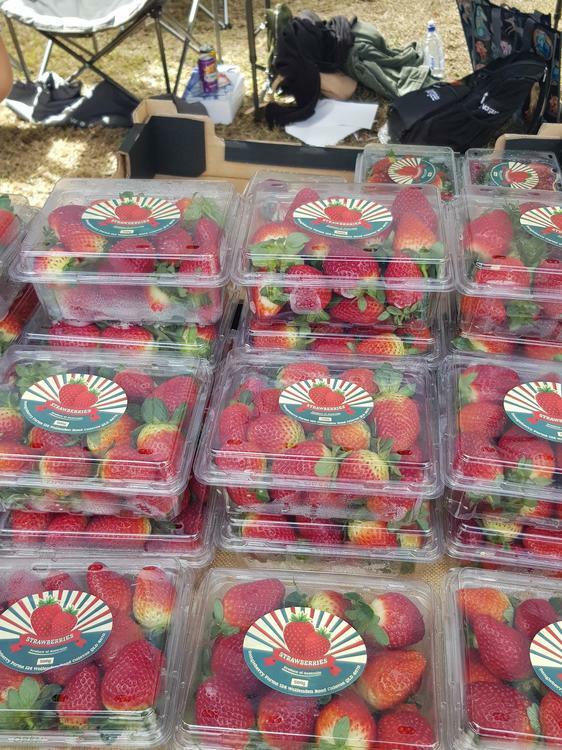 At a farmers market? But then I remembered where you were. Yellow crookneck squash, asparagus, new potatoes, strawberries, cucumbers, zucchini, scallions, snow peas and, thank you, Jesus, the Amish greenhouse tomatoes were ready! There will be BLTs this week, yes, there will. Oh, and cinnamon rolls (also from the Amish community). I am seriously contemplating getting up and sauteeing some of that yellow squash in butter with onions Right Now. And having that and sliced tomatoes for dinner. 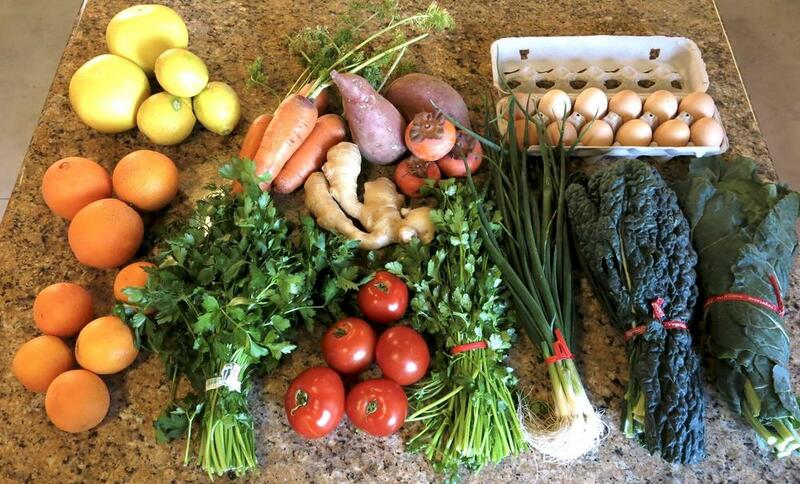 Stopped briefly at farmers market this morning. A plethora of greens and really good cherries. I got white nectarines, apricots, cherries, lacinto kale, red amaranth, fresh sweet onions with tops, young zuke, tiny super juicy Persian cukes, and a few teeny brussels sprouts. New potatoes, eggplant, blueberries, blackberries, romaine, onions, zucchini, yellow squash, peaches, Carolina gold tomatoes, Arkansas Travelers tomatoes. I'll have all this in my garden, except the eggplants and fruit and potatoes, by next weekend, but nothing yet. Lots of green tomatoes on the vines. Beans are looking nice. Grass crop is looking quite healthy. June and July are prime market months. We'll start getting sweet corn around the end of June. I've found a local grower who is growing Silver Queen, and already reserved 120 ears to cut off and freeze. My two rows of Kentucky Wonders are looking pretty good, albeit fighting with the grass. Got to get out this week and stick them. Maybe Monday morning. 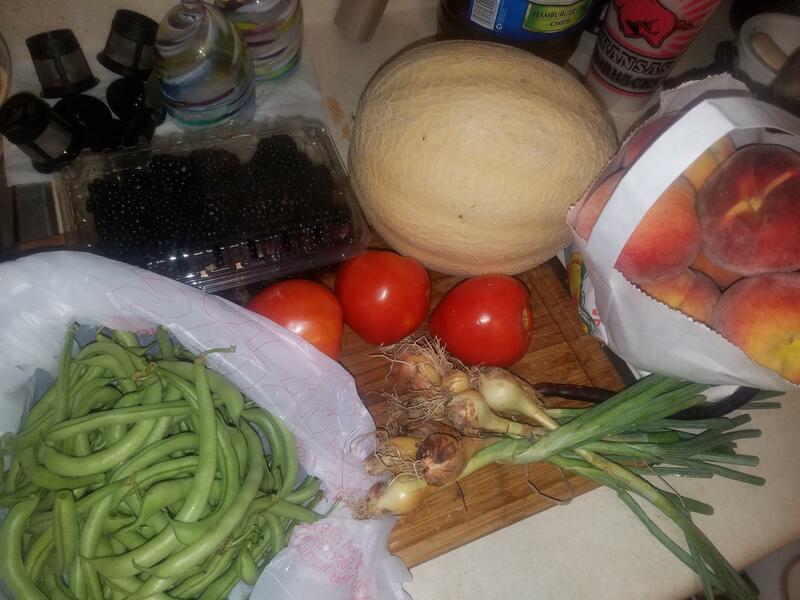 Green beans, tomatoes, blackberries peaches, onions. 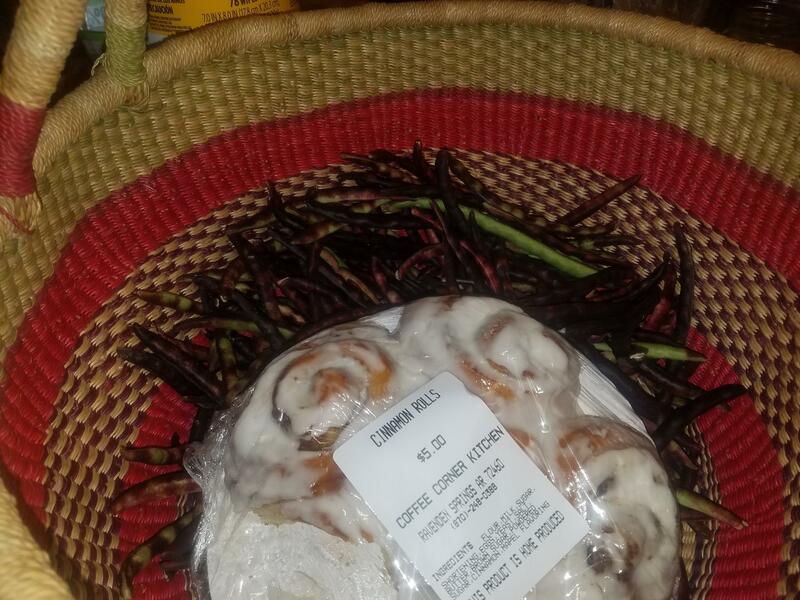 And purple billed peas and cinnamon rolls. Yes, there is a cinnamon roll missing. I'll own that one. Managed to get a few minutes at the farmer's market yesterday. Pretty disappointing if you wanted vegetables but that's not unusual here this early in the season. Two of my favorite vendors were there though, the lady from the elk farm and the guy from the beef and pork farm. So I grabbed a few things from each of them plus the lady from the elk farm always brings a selection from the semi-local cheese maker so I grabbed some of that too. The bread lady was there so I grabbed a couple things from her as well. So meat, cheese and bread... at least the important stuff was covered. The wood fired oven pizza guy was there too but the line was longer than I had time for so I had to skip that. I bought a small package of beef and cranberry summer sausage at the beef and pork guy's booth, didn't want to invest too heavily because I was a bit skeptical. That was a mistake, I'll buy a larger amount of that next time I get the chance. 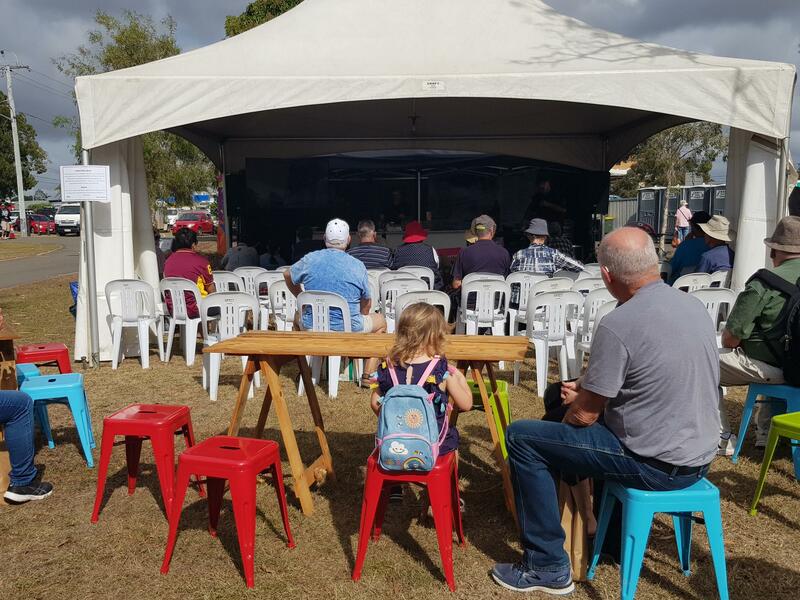 We went to the WinterFeast farmers market in Bundaberg today. Excuse the poor photos. I am incredibly shy about taking them so they are all sneak shots 😁. It's an annual event in its third year. 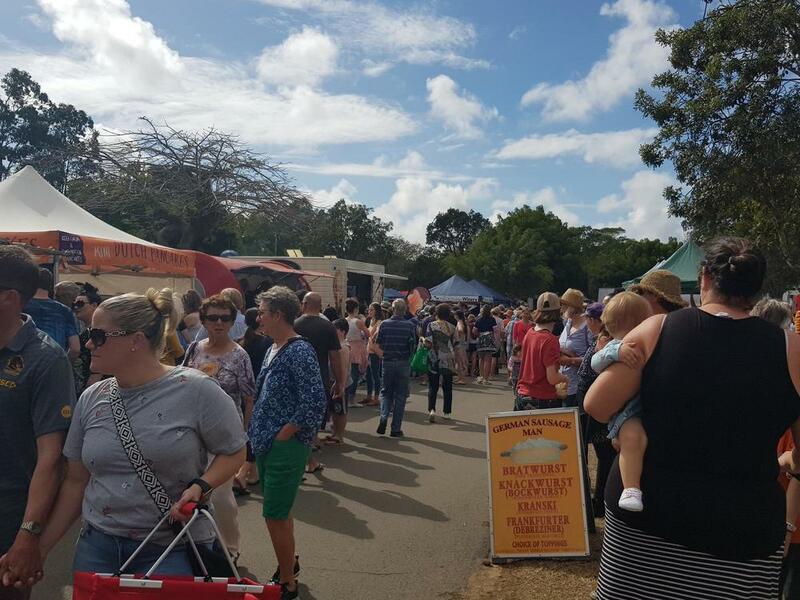 Lots of stalls from local producers, Cooking demonstrations, and plenty of food vendors and alot of bodies. 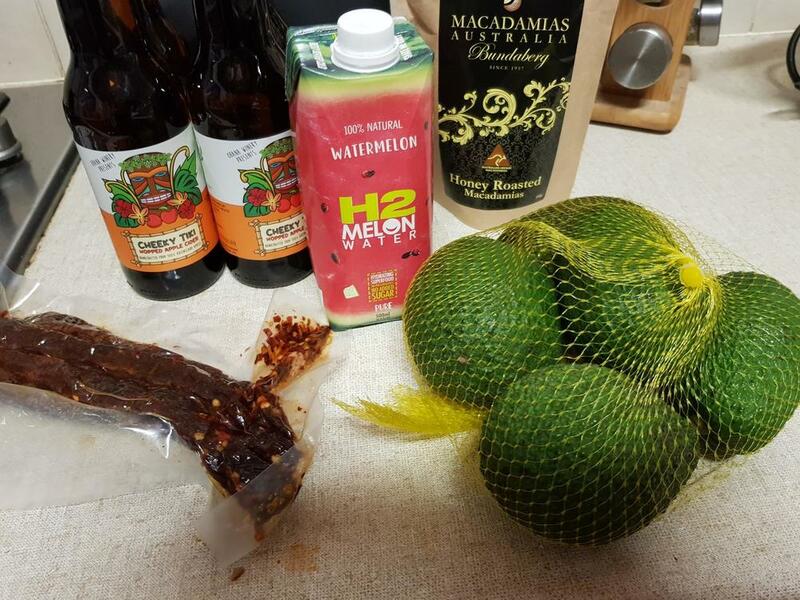 Haul - Honey roasted macadamias, chilli jerky, hopped apple cider, watermelon water and $3 for 5 Avos. 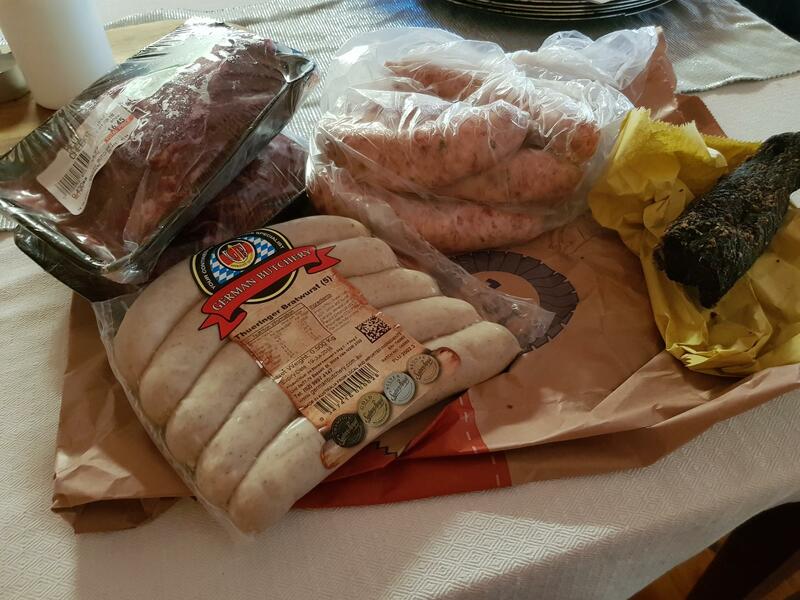 Jalepeno Cheese Pork Snags, Biltong, Beef Cheeks & Bratwurst. 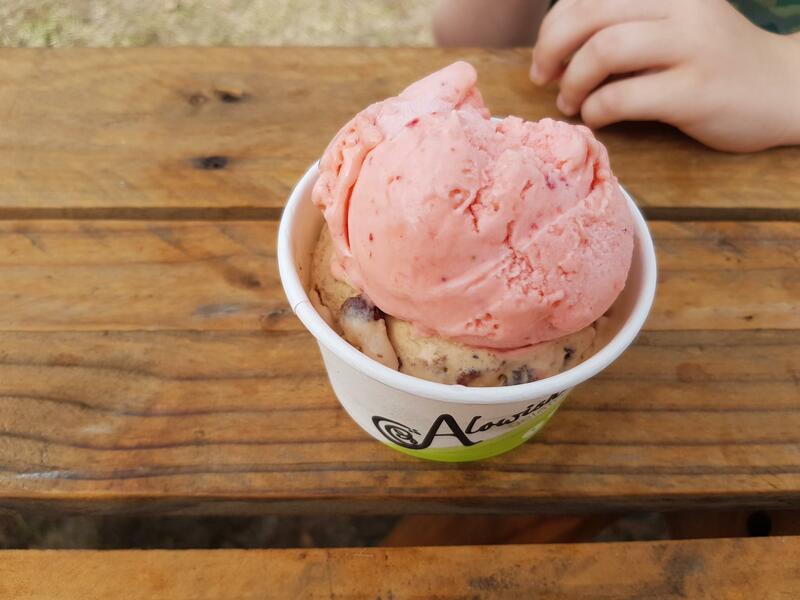 Lil dudes Breakfast - Strawberry Lime & Salted Caramel Gelato. And this poor dude. It may be winter. But its still 25c and humid. Wait...isn't it supposed to be winter there?? Oh it is. Deepest Darkest Mid Winter infact - Queensland just skips the bleak part. *Sigh* I would really, really like to skip the bleak part of everything. I seem not very skillful at this, but I keep trying. Was the avocado dude representing a particular avocado farm, do you think, or was he just the overall market rep, or just someone amusing himself? I really like the looks of the fish that were there - I don't see that at our farmers' markets! The bee display is also fascinating. I've seen ant farms like that, but if I've seen live honeycomb operations behind glass it was a very...long...time...ago. The bee display is also fascinating. I've seen ant farms like that, but if I've seen live honeycomb operations behind glass it was a very...long...time...ago. I've seen several of them at similar venues over the past few years, since the colony collapse scare increased interest in beekeeping. There used to be a chain of restaurants called Stucky's along major highways. They were usually in partnership with a Texaco gas station. Every one of the Stucky's was known for having a bee hive behind glass inside the store. It was a big drawing point, at least to our kids. I was far more interested in the pecan candy they sold. 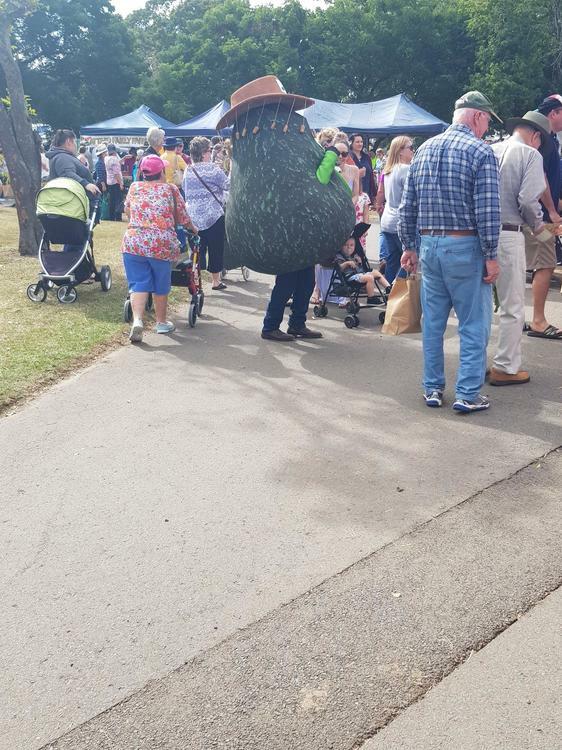 I think the Becorked Avocado was linked to one of the stalls, but I am struggling to remember which one, I think every produce stall had the soapy buggers though so perhaps he was more a mascot. Hobby Beekeeping is massive here, and honey is a premium product. There are all sorts of campaigns about getting behind the bees. Pretty sure I'm supposed to buy every Bee I come across a sugary drink, make it a sandwich and ask if it might not prefer I carry it back to its hive. 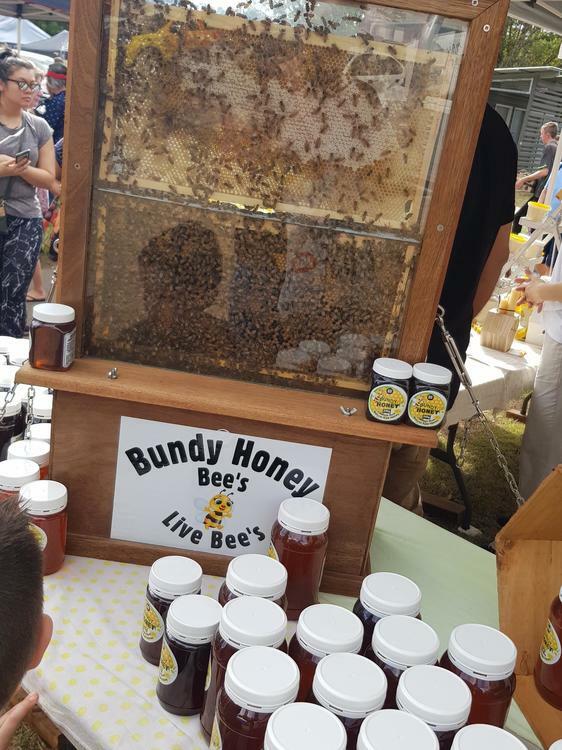 The glass things seem to be standard, there was another one at the stingless bee honey stand. At one point my late wife and I had accumulated over 2 dozen local, artisanal honeys and the differences between them were remarkable. Some are grassy, some are floral, some have distinct citrusy notes, some skew to caramel while others are more butterscotch, some are very light on the palate and others are heavy. Our favorite was from a fellow vendor who only produced enough for her own family, with a few much-treasured jars going to a handful of friends. It had a remarkably long, lingering aftertaste, like a red wine with hints of dark berries in it. I still have about 1/4 cup left from the last jar we were given before my wife passed away. I've been rationing it carefully...I'm with someone else now, and very happy with my life, but in a way that's difficult to articulate this honey remains a living connection between us. Back in our farmer's market days, we became legends among our fellow vendors for selling a tasting flight of honeys. Three small sample cups of honey, each containing about 1/2 tablespoon, packaged up with tasting notes, stir-sticks to scoop the honey, and a wedge of fresh-baked corn bread to cleanse the palate between tastes (or to eat with the honey, as you prefer). We charged $5 for that, and the other vendors were incredulous every time we sold out. 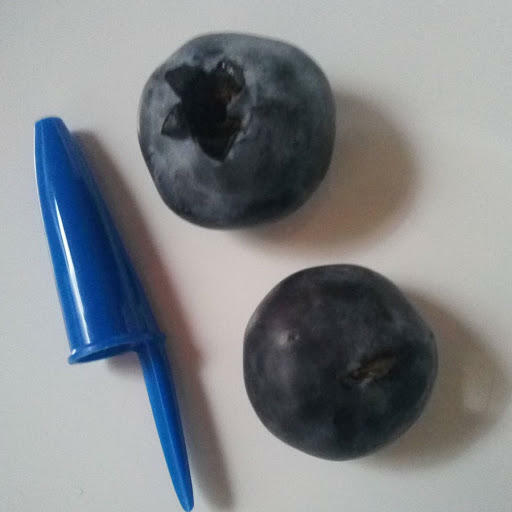 Local blueberries....kids walk around selling from cardboard boxes (our version of a farmers market). Never seen them this big before. We couldn't find any US coins for a proper size comparison so used a Bic pen cap. 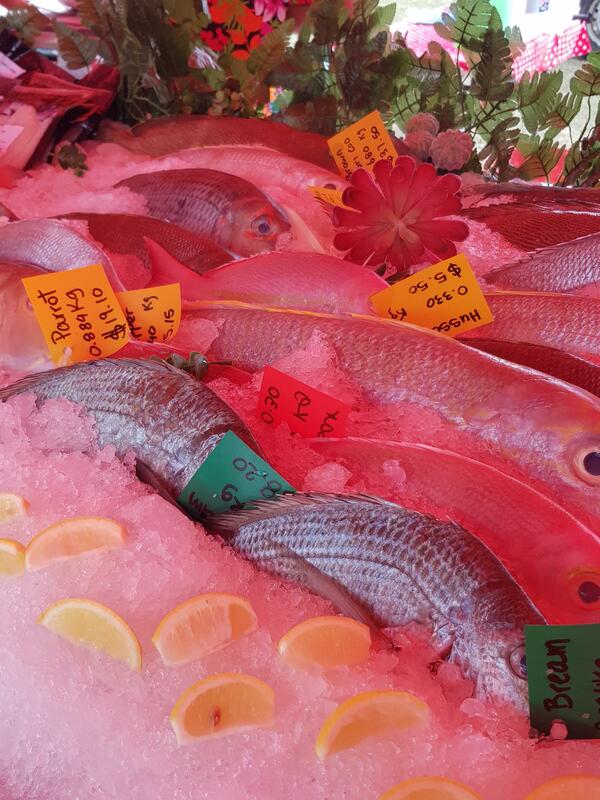 Just back from our Sunday market. Surprisingly not very crowded considering Thanksgiving is this week. I asked my Asian veg vendor how the much bigger market in Torrance (down the hill) was on Tuesday and she said they were taken aback by the slowttraffic. Good grief, they come all the way from Fresno! I tried to be sensible so my veg haul was small. And then I got to the hummus stand and all restraint and good sense flew out the window. I had promised myself their pita chips and cilanto-jalapeno hummus. This is what I ended up with. Their product is SO good. I also got spinach/artichoke hummus and an "appetizer" of feta, sun-dried tomato, feta, and olive oil. My favorite guy kept handing me samples - all excellent. Then he hands me a bit of pita with Tunisian olive oil. Well I was doomed. Really flavorful. I like a Sardinian one that is more grassy but this was running neck and neck. For years I assumed he was from Algeria as he often speaks French with customers. Nope - Tunisian. Leaving my wallet there was not great (liteaslly set it down and keft). Luckily all ID/credit cards and cash were stuffed in my purse, so I think only some random biz cards were in the tattered thing. Lovely haul. Do the tomatoes still have good flavor?